We offer customized one-on-one course to suit your interests and schedule. Whatever you want to build or learn, just ask. The following courses are ones that we keep getting requests for. These kayaks are as fun to build as they are to use. Built by eye and sized by your body measurements, the yellow cedar frame is lashed together with synthetic sinew and then sewn into a tough ballistic nylon skin and coated with polyurethane. Traditional skin-on-frame construction requires no previous experience. 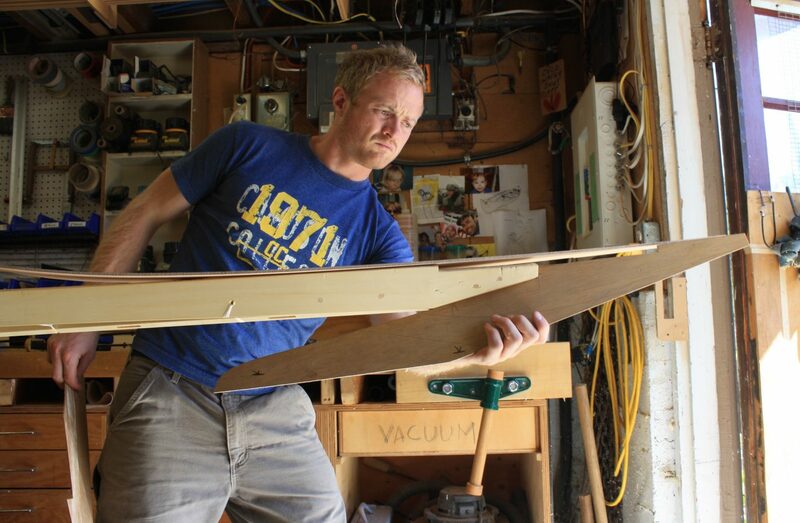 You will learn how to simply construct complex joints, steam bend ribs and trust your eye. For those who want to go deep into the history of human ingenuity, this ancient form of construction will take you there. This one-on-one course takes 5 days to complete. You will go home with a boat ready for paint. All materials except finishes are included. Cost: $3250 plus applicable taxes. Price subject to change. Built for big seas and longer expeditions, the Baidarka (Russian for small boat) is an intriguing craft. The articulated keel and bifurcated bow make the construction a little more challenging but also interesting. 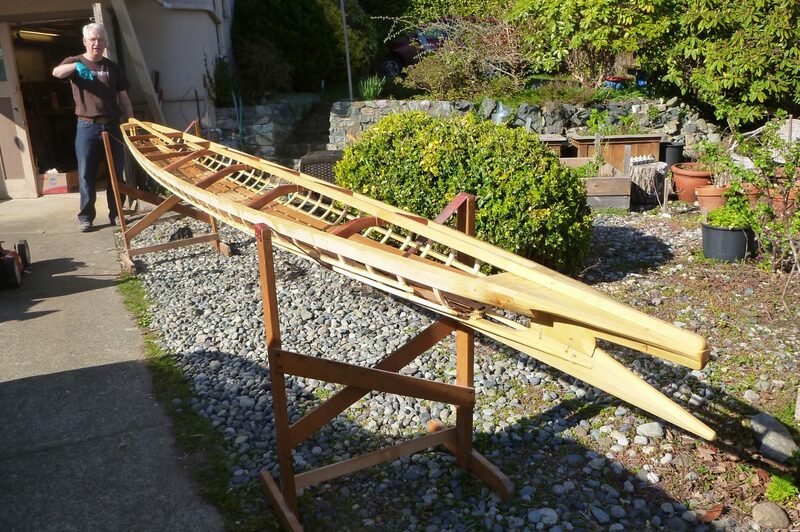 The Baidarka tends to be a little longer than Greenland kayaks and offer more storage space. They can be fitted with small access hatches and even rudders if you choose to spend a little more time. The Baidarka is constructed with yellow cedar and lashed together with synthetic sinew. A tough ballistic nylon skin is sewn on and then coated with polyurethane. This one-on-one course takes 6 days to complete. You will go home with a boat ready for paint. No previous experience is necessary. All required tools are provided. All materials except finishes are included. Cost: $3750 plus applicable taxes. Price subject to change. The Qayapaq was developed in North Alaska around the early 1900s after the introduction of the rifle. It was used to retrieve seals that were shot from shore. 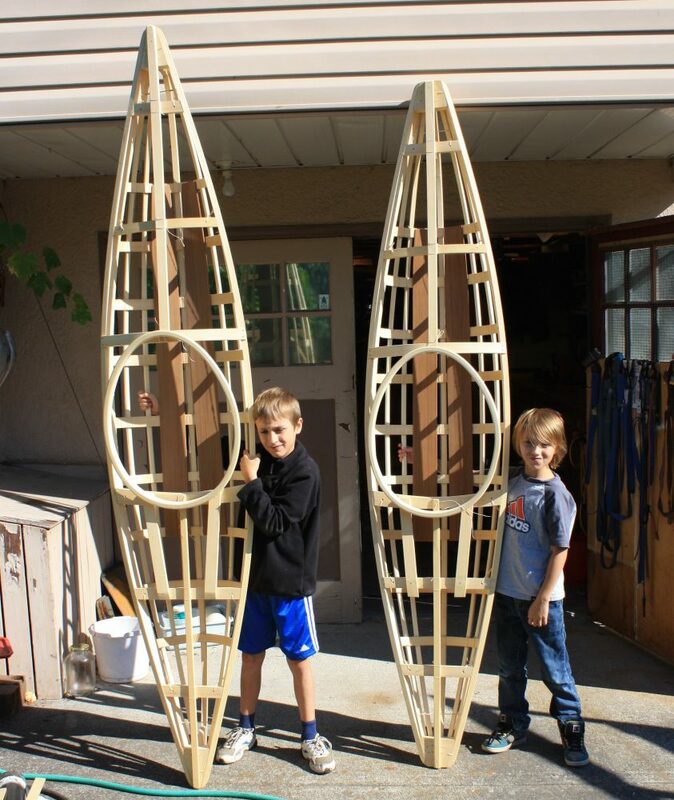 These are great boats to get kids interested in building and paddling. They are about 8′-10′ long and about 24″ wide. They weigh about 20 lbs. so kids can easily carry them. These can also be scaled up a bit to fit adults and make great little craft for playing in the waves or poking around marinas. The Qayapaq is constructed with yellow cedar and lashed together with synthetic sinew. A tough ballistic nylon skin is sewn on and then coated with polyurethane. After four days you will go home with a kayak ready to paint. Cost: $2150 plus applicable taxes. Price subject to change. Due to the size of our shop, we offer our group courses offsite. See individual course descriptions for location and enrolment details. We can also create a group course to suit your interests and schedule. Are you interested in hosting courses out of your facility? Please let us know. Stumped about a Christmas or birthday present for your significant other? Don’t like using modern feathered blade style fibreglass paddles? 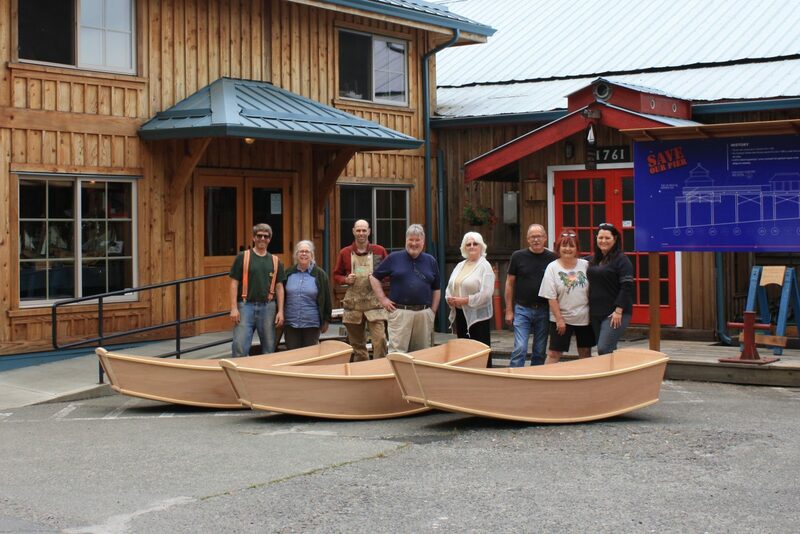 In this one-day course you will carve a custom-sized one piece Greenlandic style paddle out of Alaskan yellow cedar. No previous woodworking experience required. Everything you’ll need is provided, but you may prefer to bring some of your own tools. Contact us for a tool list. 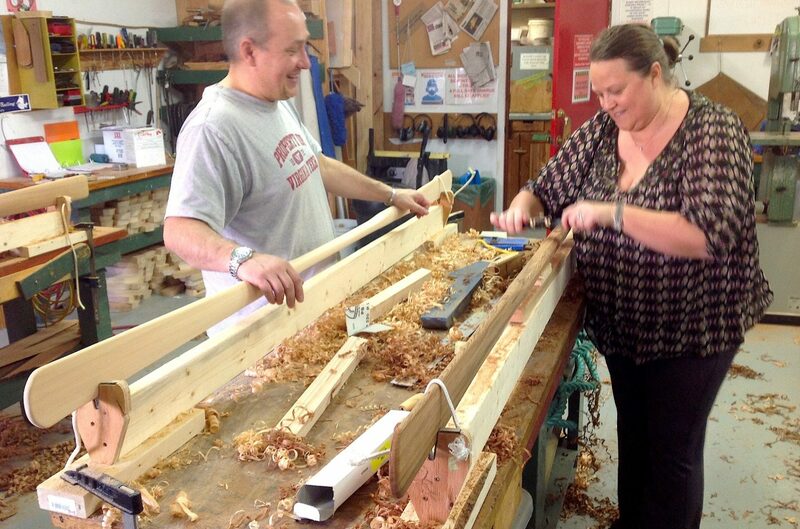 We like to call this Boatbuilding 101. Accessible to all ages and skill levels, this course is a great way for families or small groups of friends to have fun, get their hands dirty and go home with a great practical little boat. Two to four participants per boat is ideal. We start on a Friday night and finish up Sunday afternoon. You’ll go home with a boat that only needs a few hours of attention to get it painted and in the water. All tools and materials are provided but contact us for a tool list if you would like to bring some of your own gear.